Invest MLM Software | Invest Multilevel Marketing Software | MLM Software | Multilevel Marketing Software - iSHA Technology. In iSHA MLM Software we have tried to provide the best Investment plan for multi level marketing. 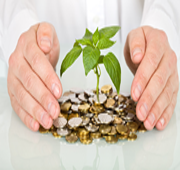 In order to understand what Investment plan is all about and how it is successful, following are the grounds which raised its growth and success. The Investment plan we provided is very easy and basic to understand. Precisely, with our Investment plan the distributors can with ease counterpart the success and completion of the heads. This is considered to be the best way of accomplishing their networking business. The necessary numbers of sponsors or members are restricted to a single pair. The first is on the left part and the other is on the right. These two parts are the base or specifically the pillars of the structure. It is through our Investment plan, where the system begins to grow quicker in comparison to direct selling. In Investment plan, the structure of yours will grow faster and therefore is beneficial that rises from adding the new member through the upline.